Having looked at the art of Tattooing in ancient and tribal cultures let’s have a look a little closer to home with Europe, the U.S. and Great Britain. Looking at the culture in Europe it is unclear on the original purpose of tattoos, from the research done it looks as though tattoos may have been used for healing purposes. But tattoos were still common around Europe and there were even ancient tribes recorded of in Europe described as tattooed from fingernails to neck with all sorts of tree like patterns. As Christianity took over Europe, tattoos were considered the sign of paganism and were actually legally banned! In Great Britain it was thought that many of the old Kings were tattooed but there is no proof of this. The times of increased evidence of tattooing is when contact started with non-European cultures. As British sailors starting exploring the world and coming into contact with ancient tribes the art of tattooing started to enter into the British awareness. During this time natives would be captured and brought back to England and shown off in court as a novelty. Sailors would start coming back from expeditions with their own tattoos. Thus tattoos and sailors becoming quite a linked concept. It spread from the sailors into a popular practice among the criminal element but before you know it plenty of royalty had tattoos themselves. In the U.S. tattoos also started amongst sailors but for quite a different reason. It was quite common at this time for American citizens to be forced to work on British Navy ships. Protection papers stating the sailor was a U.S. citizen were meant to stop this from happening but the papers were too generic and didn’t do their job. So came the practice of getting a personal tattoo and having it recorded in detail on the protection document to prove it was really you. If you no longer feel your tattoo is right for you remember that tattoos are no longer a permanent affair! 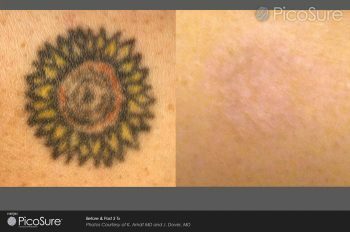 You can get tattoos removed very simply in professional clinics near you.